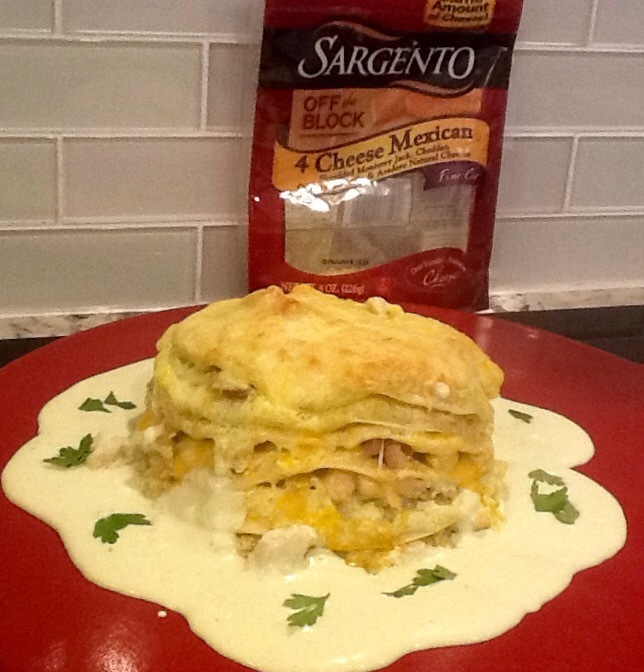 It’s time to vote for a Round 2 favorite in the Chopped at Home Challenge sponsored by Sargento Cheese. The Round 2 category is MEXICAN…Ole’! My close friends and family know that I’ve had a love affair with Mexico ever since I lived there during my college years. That is true. However, the inspiration for my entry is actually a dish from El Azteco, an East Lansing eatery that any true MSU Spartan knows well. My recipe, Chicken Enchiladas Suizas with Poblano Crema is an homage to one of my favorite dishes at El Azteco. This layered, cheesy, creamy chicken tower of Mexican goodness will turn anyone into a Mexican food lover. The poblano and hatch chile crema is so addictive you will want to lick your plate! So…if you are a Spartan and you love El Azteco and you just plain LOVE Mexican food, please take the time to vote for me May 23- June 13 at http://www.foodnetwork.com/chopped challenge . You can find my recipe by typing my name in the search bar or by its name “Chicken Enchiladas Suizas with Poblano Crema”. You can vote up to 5 times per day. Go Green, Go White, Go Mexican!